Now that we are well into the new year, we can start focusing on all the exciting new game releases set for 2019. Perhaps you’ve been playing old favourites for the past few months and are looking for a new challenge or you just want to get in on the latest PS4 action, here are the releases for 2019 that we are most looking forward to. Possibly BioWare’s most ambitious release yet, Anthem focuses on the achievements of heavily armoured freelancers stationed on an antagonistic alien planet. In order to be successful on dangerous missions while exploring the far corners of the world, you’ll have to team up with other online players in this shared-world shooter. It may sound similar to Destiny, but BioWare approach to the concept is expected to provide an interesting change of pace. From the famed studio Platinum Games comes Babylon’s Fall which is a fantasy-themed action game based on the little we’ve seen from the reveal trailer. What we know right know is that you’ll be playing as a knight with exceptional magical abilities and while this isn’t much to go on, the pedigree of Platinum Games such as the Bayonetta series and Metal Gear Rising: Revengeance suggests that this latest release will be action-packed adventure. 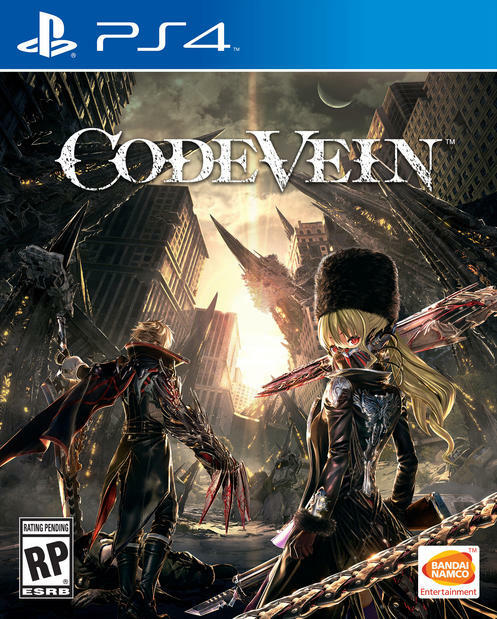 Almost as thrilling as River Belle casino and described as “anime Dark Souls” in a post-apocalyptic setting, Code Vein was created by Bandai Namco and is a third-person action RPG. There have been hints of a vampire theme as it seems that the enemies are hunting for blood and you run the risk of becoming just like them. If Until Dawn wasn’t quite terrifying enough, the creators are set to release a new cinematic horror title, The Dark Pictures: Man of Medan. While gameplay looks similar to that of Until Dawn, in The Dark Pictures: Man of Medan you’ll be one of 4 Americans stationed in the South Pacific and you’ll have to complete puzzles in order to progress while trying to avoid getting murdered. Good news for horror fans is that Man of Medan is the first in an anthology of horror games. Created by Sucker Punch Productions of Infamous and Sly Cooper fame, Ghost of Tsushima is set on the island of Tsushima during the invasion of Japan by the Mongol in 1294. You’ll play a lone samurai turned vengeful assassin and you’ll have to fight tooth and nail to drive the Mongol army out of Japan. This upcoming EA Originals is centred on a lonely girl whose emotions cause her to become a monster and turn the world into a flooded, post-apocalyptic mess. Sea of Solitude sees you navigating this world as the monster-girl in order to find your way back to being human.